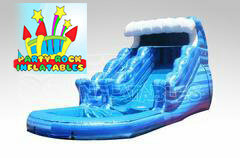 This 13' tsunami is not only a budget friendly slide rental but its a blast for all ages! this slide is great if your space is limited, as some of our larger slide rentals can take up to 2-3 times the space as this one. this slide is called the tsunami for the fun wave that looks like its crashing down on you when your sliding from the top of the slide down. 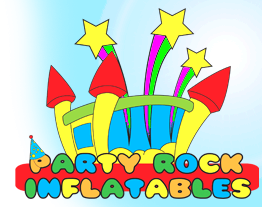 this is great for any party and it does book fast! so call us or book this one online today!